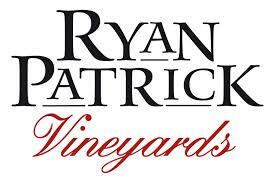 Ryan Patrick Vineyards was a pioneer winegrower in what is now Washington State’s newest American Viticultural Area (AVA), Ancient Lakes of Columbia Valley. The state’s thirteenth AVA runs along a stretch of steep cliffs above the Columbia River and surrounds the town of Quincy, Washington. A combination of unique growing conditions including a cooler climate, a thin soil layer and vineyard elevations of 1,200 – 1,400 feet contribute to the area’s unique character. We also source premium fruit from our family of growers in other AVA’s throughout the Columbia Valley, allowing us access to the best varieties from the most suitable terroir. These partnerships provide winemaker, Jeremy Santo, quality fruit each vintage, consistent in style and structure. Our Legacy – In 1951 Sid Flanagan began farming native land near Quincy, Washington as part of the Columbia Basin Irrigation Project. Forty years later, in 1996, Sid’s son Terry, with wife Vivian, founded Ryan Patrick Vineyards naming the winery after their two sons, Ryan and Patrick. The Columbia Valley AVA lies in the Columbia River Plateau, through much of central and southern Washington State, with a small section crossing into the neighboring state of Oregon. The AVA includes the drainage basin of the Columbia River and its tributaries through much of Washington. The Columbia Valley AVA is the largest wine region in the state of Washington, including over 11,000,000 acres of which over 40,000 acres are planted in vineyards. Grapes grown here include Cabernet Sauvignon, Merlot, Chardonnay, Riesling, Syrah, Pinot gris, and Sauvignon Blanc. The unique climates of the area allow the Columbia Valley to produce wines that are very fruit-forward, like California wine, but which also retain some of the balance and structure of European wine.